Team Showcase Pro plugin allows you to display team member post or pages. you can easily create team list via custom post & re-order team member by drag & drop. 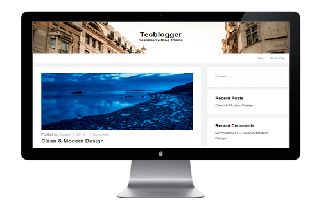 Team Showcase Pro is a WordPress Plugin that allows you to display team members in post or pages. You can easily create team list via custom post & re-order team member by drag & drop. Team Showcase Pro allows you to showcase your staff, employees or contributors on your website in a easy way. Team Showcase Pro features 25+ different layouts with a lot of additional options. You can create a great looking team section on your WordPress site in just a few minutes using team showcase pro. Team Showcase plugin comes in two different version – Free & Premium (PRO). Team Showcase FREE version can be found on WordPress.Org/Plugins or Download from Plugins > Add Plugins from your WordPress Dashboard. Social Profiles (facebook, twitter, google plus, Instagram, Pinterest, LinkedIn, Dribbble, etc.). Why Choose Team Showcase Pro? AddedAdded Popup panel controller option. AddedAdded Image Height auto or custom height. Wait a long time for the pro version & support team is really quick.